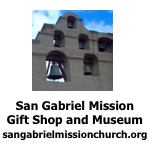 Carolina Russek Ballet Folklorico Dancers were ready for San Gabriel Mission’s 239th Annual Fiesta. Russek’s group performed Sunday, Sept. 5. 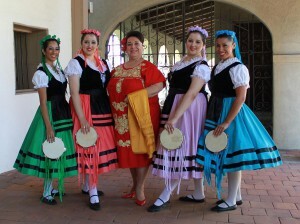 Pictured are some Russek dancers (from left) Antoinette Carlos, Julie Sanchez, teacher Carolina Russek, Elizabeth Sanchez, and Pearl Hernandez.